Spread the cost from only £189.94 a month with Interest Free Credit. With its clean lines and simple shape, the Pillow sofa bed’s versatile design lends itself to any style of home. Its generous feather-filled back cushions encourage you to lie back and relax, while its fibre wrapped seat cushions act as a headboard when configured as a sofa bed. Pillow’s pocket sprung mattress can be unfurled effortlessly transforming the corner chaise into a comfortable double bed with additional chaise for visiting family and friends. 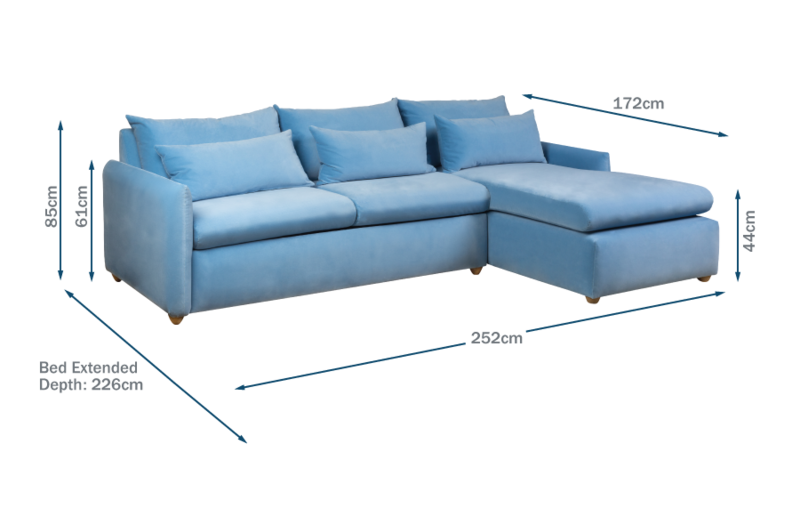 The sofa bed option is also available as part of the 3 seater sofa. The Pillow range comes in nine different variants and all Heal's fabrics, making it the perfect versatile range for the contemporary living space. Sofa Bed features a two fold Cedaflex mechanism, making it easy to take out and put away within seconds. The pocket sprung mattress is ideal for accommodation family guests.